Theresa May with European Council president Donald Tusk. It comes amid reports that EU officials are considering offering the prime minister a 12-month flexible extension - or "flextension" - to the Article 50 timetable. 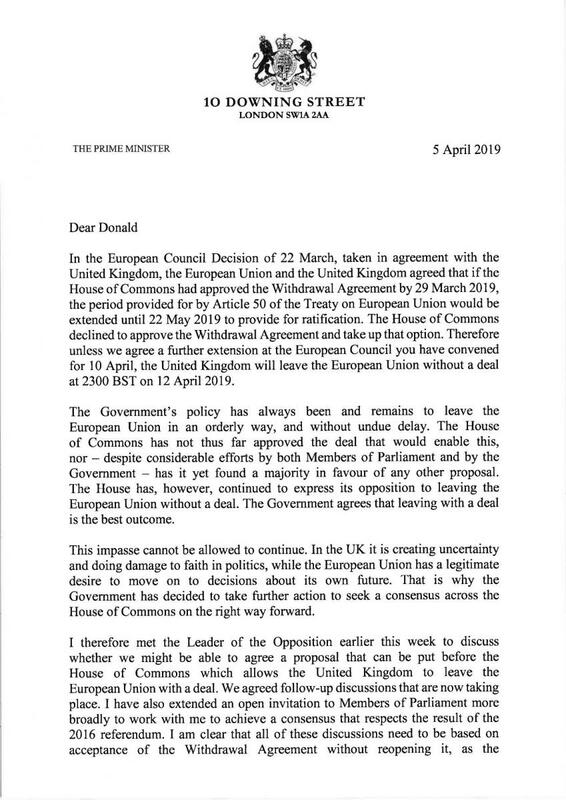 The first page of Theresa May's letter to Donald Tusk. In her letter, Mrs May wrote: "I am writing therefore to inform the European Council that the United Kingdom is seeking a further extension to the period provided under Article 50(3) of the Treaty on European Union, including as applied by Article 106a of the Euratom Treaty.